I will be travelling to Haiti with an intrepid group of students from a club I advise at my university called Students for Haiti. This is our first trip to Haiti as a club. The club was formed back in 2011 to 1) help raise funds for a scholarship to bring promising Haitian students to GVSU; and 2) to raise awareness about Haiti, Haitian culture, and the Haitian people. Our trip will combine service, ecotourism, and cultural learning as we explore three very different geographic locations in Haiti. Many people ask me why I go to Haiti. The short answer is that it is where feel I am needed at the moment. The longer answer is that on my first trip to Haiti in 2007 I met and spent time with Haitian people. I fell in love with their amazing island, people, and culture. I saw more than poverty. I saw promise and a people who have accomplished much with very little, and I am passionate about finding ways to help Haitians help themselves through sustainable self-help solutions. This trip will be a trial run for a full blown study abroad program I am helping develop at my university for next May. 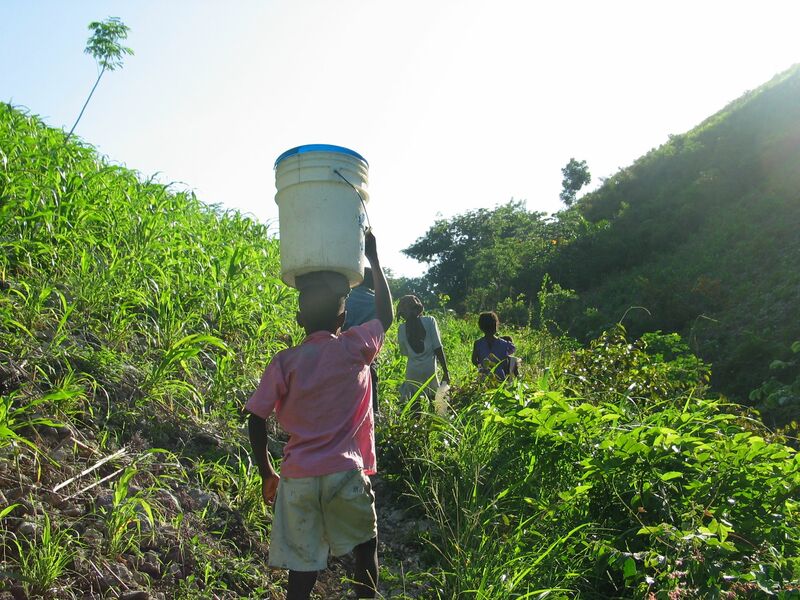 In May 2016, I hope to lead a team of students on an interdisciplinary journey to Haiti to learn about environmental issues like deforestation; water and sanitation; sustainable energy solutions; and environmental restoration efforts. I will also be giving the students an opportunity to use their unique skills, energy, enthusiasm, and expertise to participate in service learning projects. As a consequence of my “Haiti hiatus” I suspect my posts to the Walking on Water blog will be more sporadic for the next couple of weeks – due to limited bandwidth (both digital and personal). My hope is to continue my daily time of reflection, but I suspect I will need to “binge post” when I have a good internet connection :). Prayer: God please bless our group with safety, sagacity, and a safe return home. This entry was posted in Discipleship, Eddying Out, Faith, Following God, Haiti, Life Together, Obedience, Trusting God, Wisdom and tagged bible, bible study, Christianity, Daily devotional, Haiti. Bookmark the permalink.